Founded by a WW I Veteran, Dr. Homer Stryker, Stryker is one of the world's leading medical technology companies and is dedicated to helping healthcare professionals perform their jobs more efficiently while enhancing patient care. 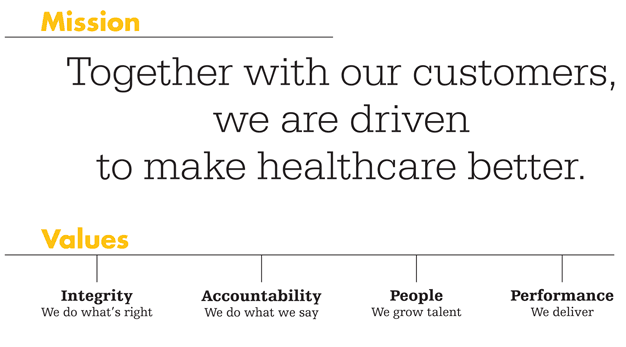 At the heart of what we do and believe is making healthcare better. We do this by collaborating with our customers to develop innovative products and services that ultimately improve the lives of patients. Stryker offers results-driven people a place where they can make a difference. The Company offers a diverse array of innovative medical technologies, and our talented employees help to ensure medical professionals have the tools they need to return patients to lives that are more active and satisfying. Stryker gives you the opportunity to develop your civilian career based on your strengths and potential, including the possibility to move geographically, functionally, laterally and vertically. We understand the importance of having a strong employee connection with team and community. We also understand how a veteran workforce can positively impact an employer and the region. Click here for more information about Stryker’s inclusive culture. 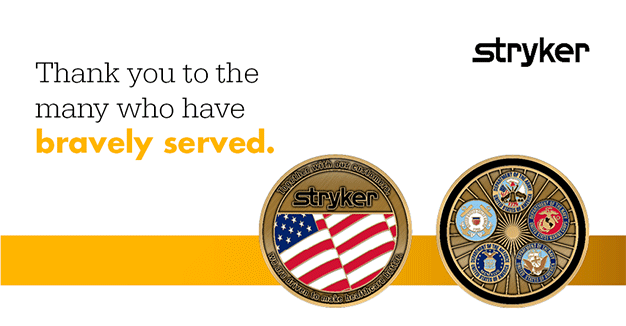 In an effort to support the hiring of U.S. veterans, Stryker is proud to announce we joined the 100,000 Jobs Mission in 2014. The Mission began in 2011 as a coalition of 11 companies committed to hire 100,000 veterans by 2020. Since then, it has grown to more than 200 companies representing almost every industry in the American economy. Each company has committed to hire veterans, report their hiring number on a quarterly basis and share best practices. In 2015, the 100,000 Jobs Mission was renamed Veteran Jobs Mission. Together, the companies have hired almost 500,000 veterans. Building on this momentum, the Mission has raised its goal - pledging to hire 1 Million U.S. military veterans. As a member, Stryker is committed to helping the coalition meet its goal. 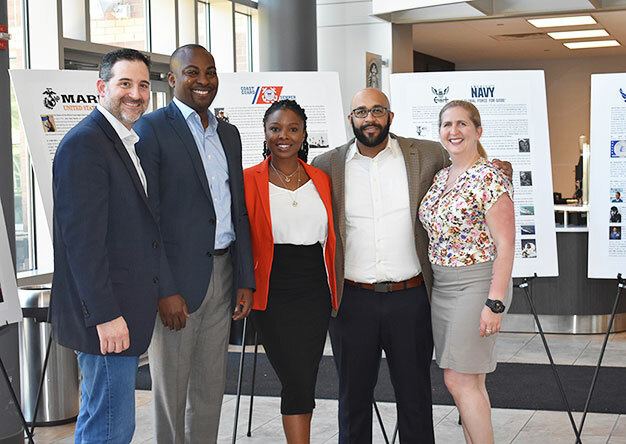 Being a part of the Veteran Jobs Mission is another step in our focus on creating a diverse and successful culture. Click here to connect to Stryker's coalition member profile.